Today we are going to stick with yesterday’s controversial hand in the $50k Poker Players Championship as the main topic of discussion, and look at some of the debate that has been raging since it first came to light (a sincere thanks to Donnie Peters from PokerNews.com for doing such a fantastic job of reporting the hand as it happened). I’ll also bring you up to speed on the One Drop entry list, which once again grew overnight. Yesterday we gave you the specifics on what will likely go down as one of the most controversial hands of poker in the modern era. Today I want to revisit the hand, but this time from a different perspective, and take a look at what some players and media types feel the ruling should have been. The general consensus seems to be that the hand should not be replayed from the flop on with Mosseri and Yakovenko holding about 150,000 chips each (as the first floor-person ruled) but that the results should stand but only for the valid pot-sized bet that Yakovenko made. In addition to the poker ruling, many people feel Mosseri’s antics (talking about his hand, questioning the rail, and even allowing a player to see his cards) should have been penalized. Reinkemeier made the announcement on his Facebook page where he wrote, “”Excited about competing in the WSOP $ 1 million one-drop Money in vivid, wired and I’m ready to play :)”. 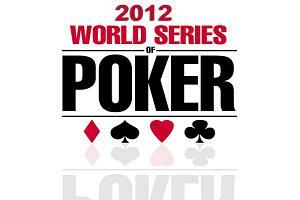 This entry was posted on Wednesday, June 27th, 2012 at 6:18 am and is filed under Poker News. You can follow any responses to this entry through the RSS 2.0 feed. You can leave a response, or trackback from your own site.